Cork bath mat via Crafty Nest. 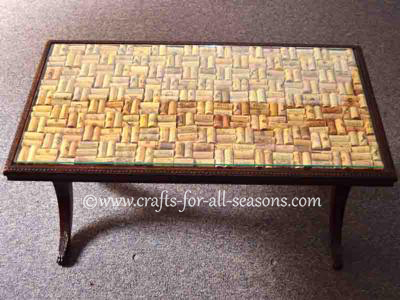 Cork Table via Crafts for all Seasons. 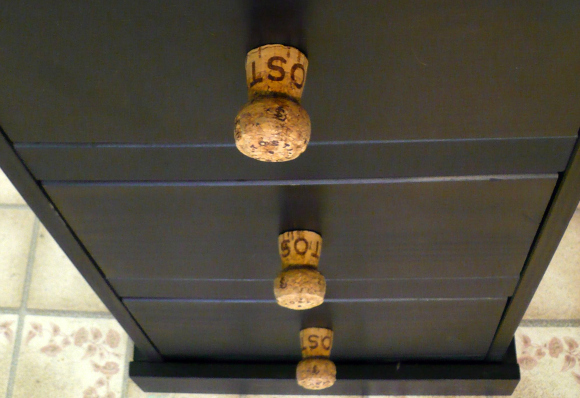 Cork serving tray via Shine Your Light. Cork Stamps via Lil Blue Boo. Plant markers via Shine Your Light. Drawer knobs via Dollar Store Crafts. Super cute ideas! I especially like the plant markers. If you have a lot of wine corks around, you're probably wondering what to do with them all. Why not put them to use and make some arts and crafts projects out of them?